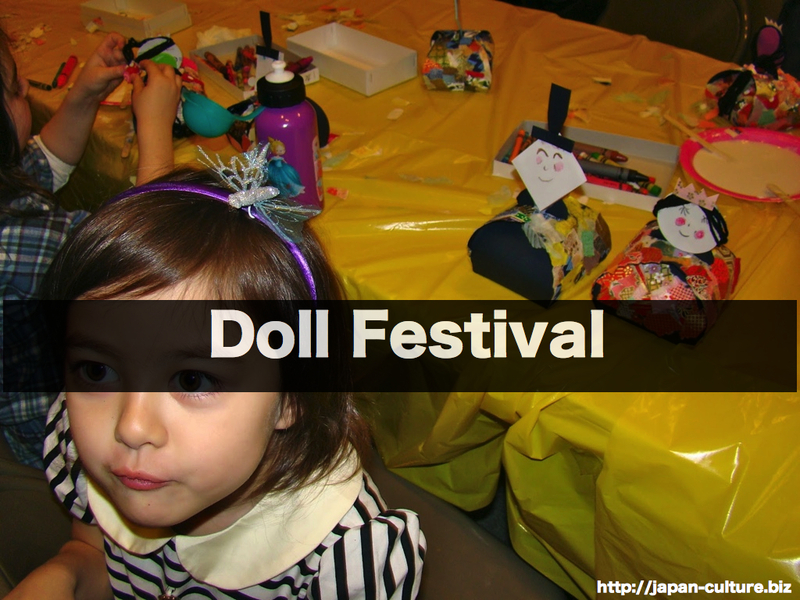 The Doll Festival on March 3rd is a special day for girls. A family with young daughters celebrates this day and wishes for their heath and growth by setting up a display of special dolls. 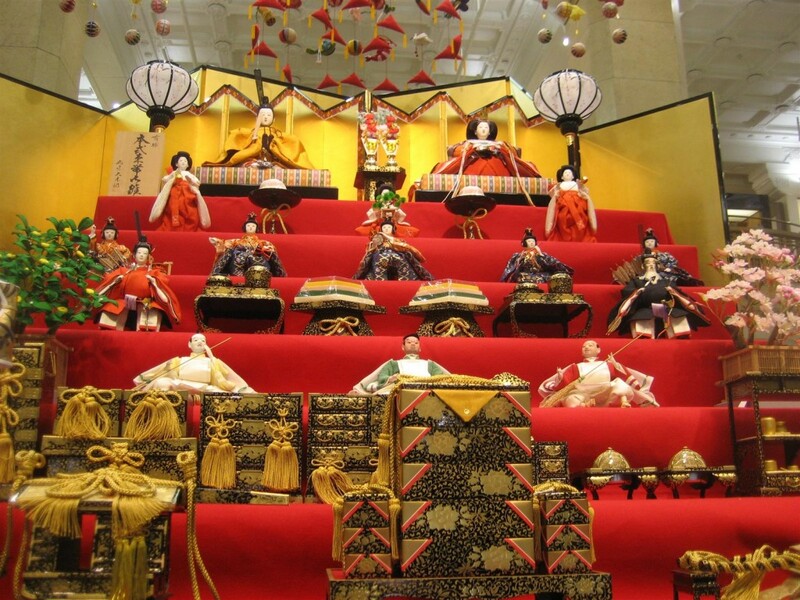 The dolls are placed on a stepped shelf. They are dressed in beautiful kimono of style worn about 1,000 years ago in the Kyoto court. The Empress and Emperor sit on the top shelf. Doll sets are often passed on from generation to generation. On the day of the Doll festival, we also celebrate peach blossoms and eat special rice cakes and drink sweet rice wine.